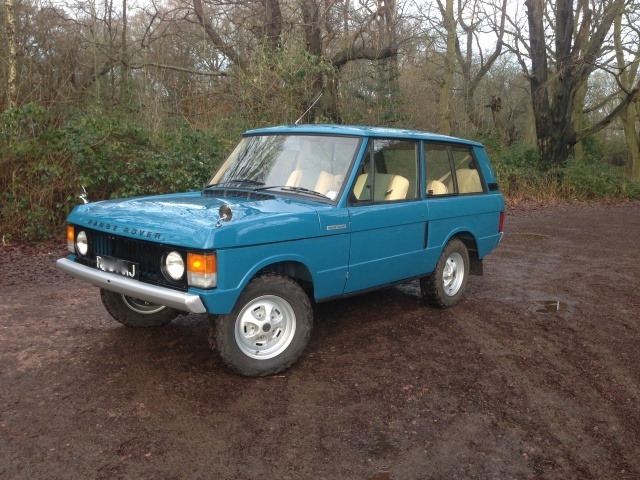 This is the restoration of an early Range Rover suffix A model registered in 1971 but built in December 1970. We stripped it down to a bare shell and found the typical Range Rover corrosion so we cut out and replaced the rotten sections with new inner + outer sills, rear floor and wheel arches, front inner wings and wheel arches, headlamp panels and lower door posts. The body shell was then re-sprayed inside and out prior to fitting of outer panels. The chassis was original and was shot blasted then repaired prior to dip galvanising then powder coated black. Axle casings were stripped, shot blasted then powder coated and rebuilt with new bearings/seals/swivel cups. All new suspension and brakes were fitted. The whole vehicle was re-sprayed in its original Tuscan Blue colour and the wheels powder coated silver. 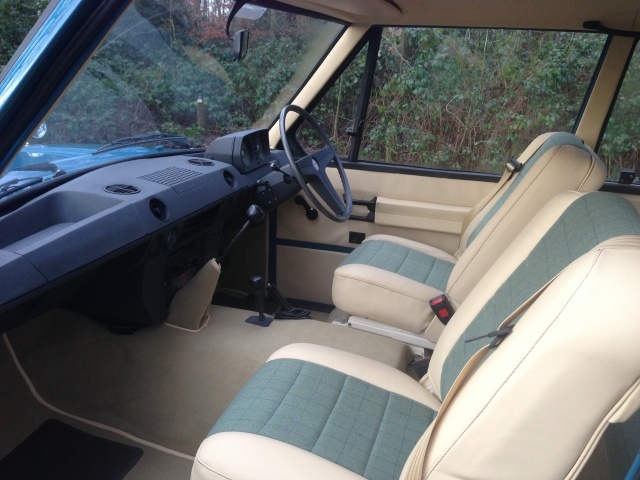 As the original interior was beyond saving a bespoke interior consisting of leather and tweed was fitted and makes this a very unique vehicle.